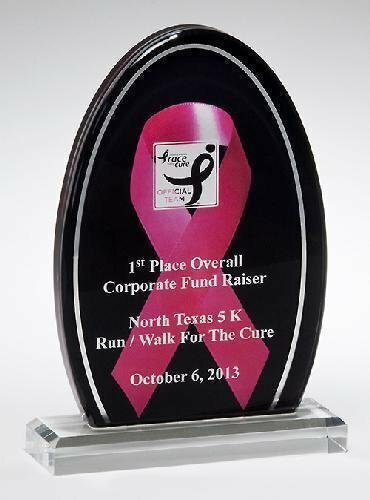 Breast Cancer Awareness acrylic, pink ribbon against a black background with silver mirror border. 3/8" thick clear acrylic on mahogany finished base. Individually gift boxed. 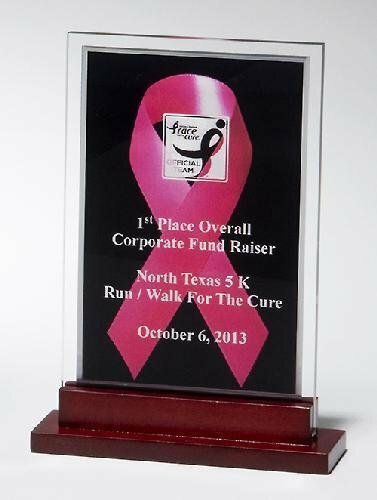 Breast Cancer Awareness acrylic, pink ribbon against a black background with silver mirror border. 3/4" thick clear acrylic. Individually gift boxed. 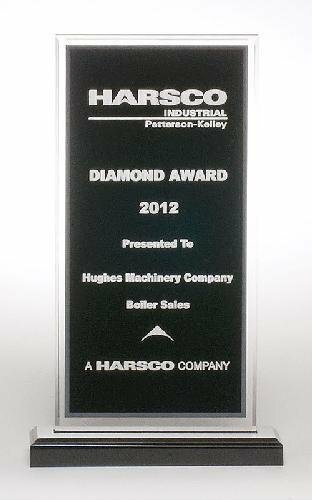 Clear acrylic award with black center and silver mirror border on a black acrylic base. Individually gift boxed.